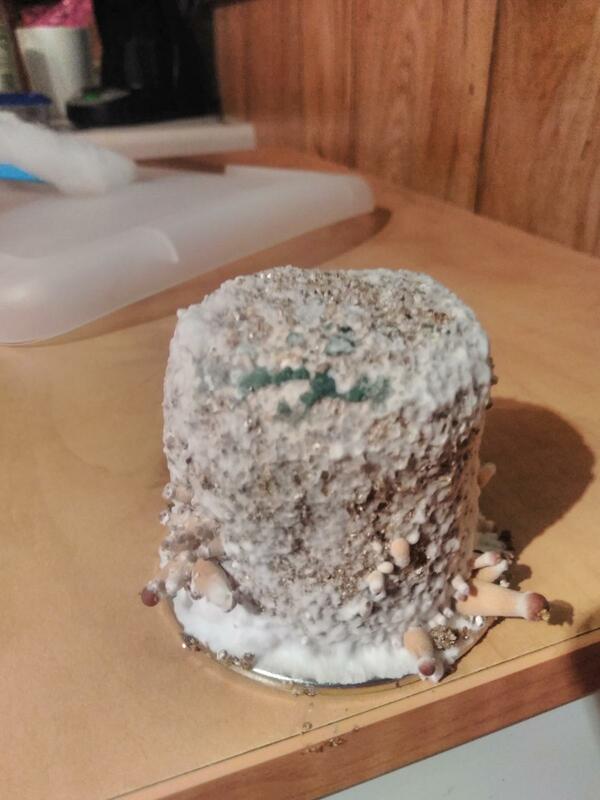 My 1st grow, these 4 finished up their 2nd flush, and I was put off enough by this one cake to dunk him separately. I dont know how long the spot has been there because of how many fruits it had. 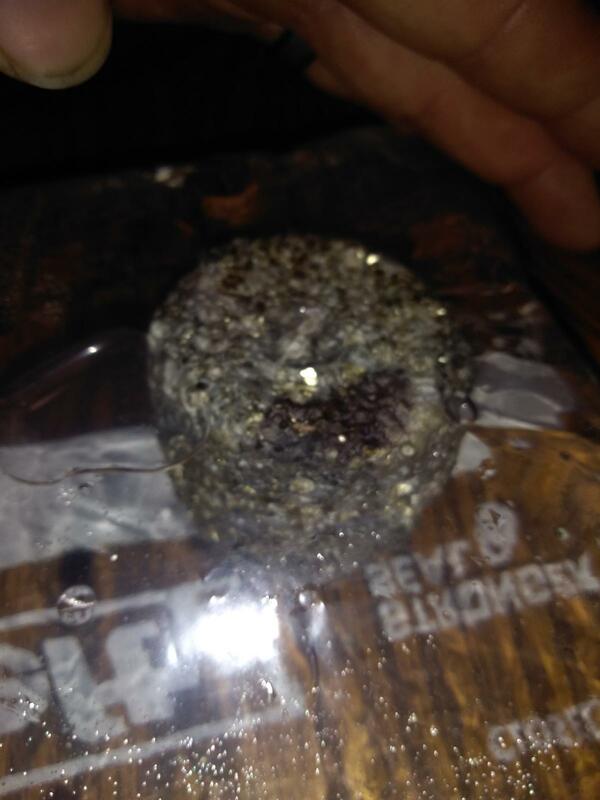 Thinking maybe (hopefully) its a concentrated area of spores falling off? 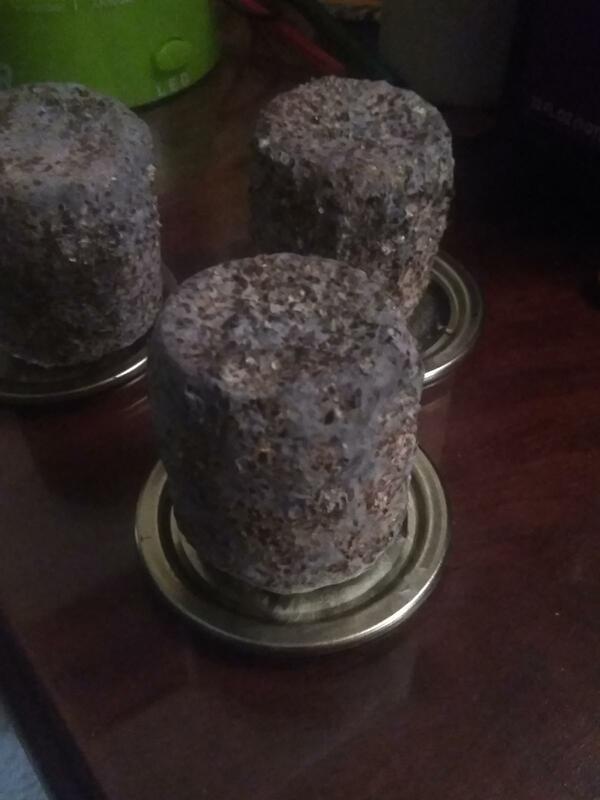 My first reaction was to pitch it since ive gotten 2 flushes out of it already, but couldn't kill my cake baby, it would be my first of 12 to lose so i thought no harm in dunking in solitary confinement while I asked the educated and experienced. Edited by 417outsiders, 09 January 2019 - 06:49 AM. Looks like spores from where I'm sitting. I agree with mikey...looks like spores. 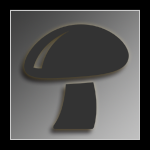 NO, IT's MUSHROOM AIDS! 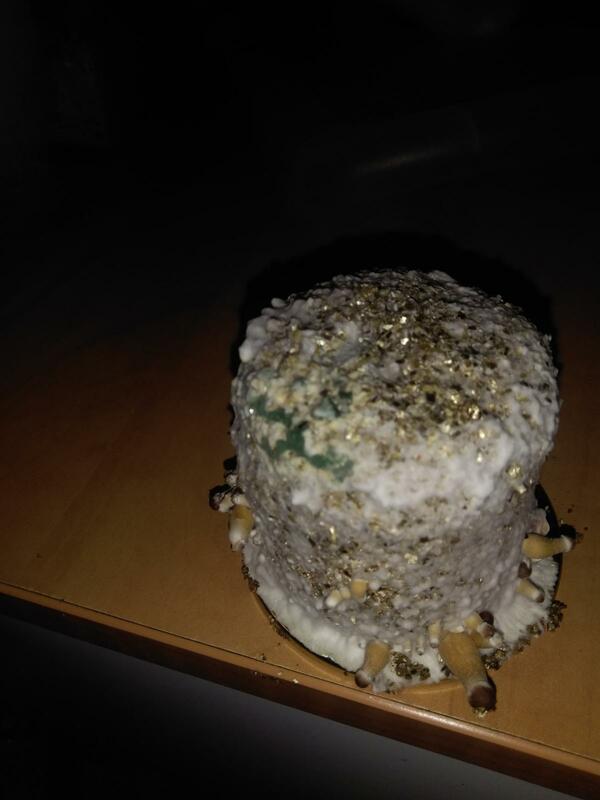 Lol, sorry, it looks like a cake that has had 2 flushes harvested from it, and spores on it. i hope you all keep giving the answer i wanna hear, but this im not waiting on responses, he was quarantined immediately. That looks a lot more green, but is it more blue in person? No it's green, definitely green. In my crazy mind, I see that green as an opportunity for a future substrate amendment. 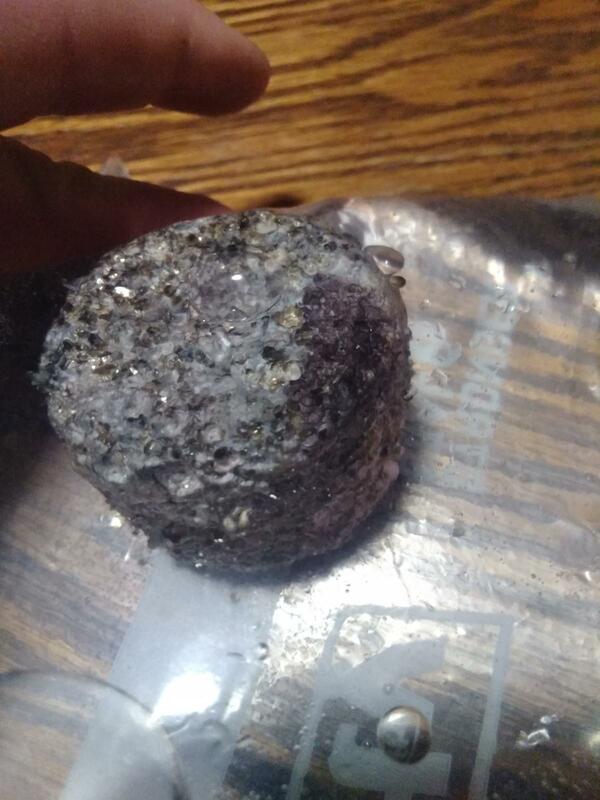 Am I correct in saying this is not mold if it looks the exact same after over 24 hrs? I have also seen that color green when you leave a bit of the stem on when harvesting. It will be kinda slimy to the touch...if that is what it is, just cut it off with a clean knife. 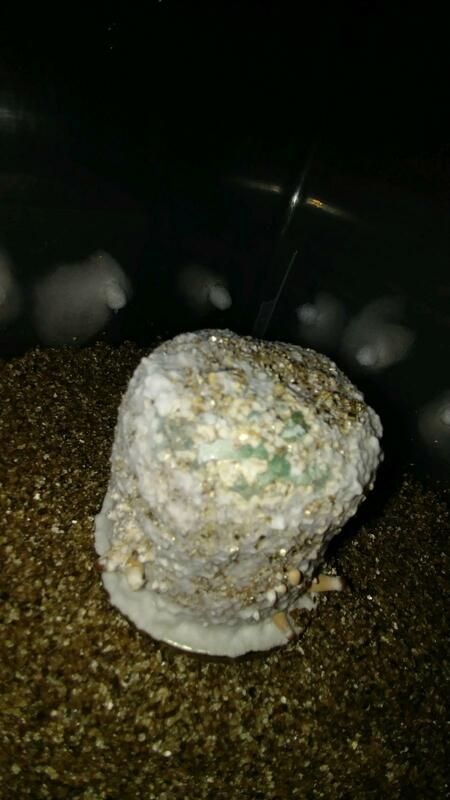 I think it's the same problem I had, I threw out a couple, but noticed one I kept quarantined recovered, and the green/blue did not grow. Plus I did the q-tip test and spores didn't rub off. So I was fooled. If that's how yours is, then I think it's bruise.